REUTERS/Kevin LamarqueU.S. 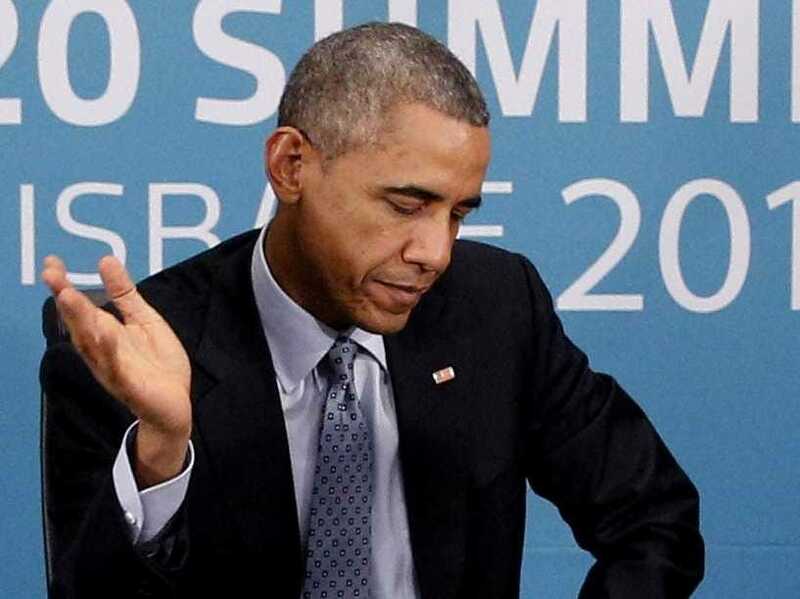 President Barack Obama gestures as he meets with European leaders to discuss the situation in Ukraine, at the G20 in Brisbane November 16, 2014. This week, President Barack Obamamade his clearest remarks yeton his stance toward Syrian dictator Bashar al-Assad. Obama has long been loathe to enter “somebody else’s civil war,” a stance that fuelled to the fragmentation and radicalization of a armed Syrian opposition that at one time included thousands of Syrian military defectors. ISIS eventually pulled Obama into bombing parts of Syria, but US-led warplanes have so far avoided and even “de-conflicted” with Assad’s troops. More than 200,000 have been killed during the Syria civil war, which began with nonviolent protests in March 2011 that were met with bullets and tanks. 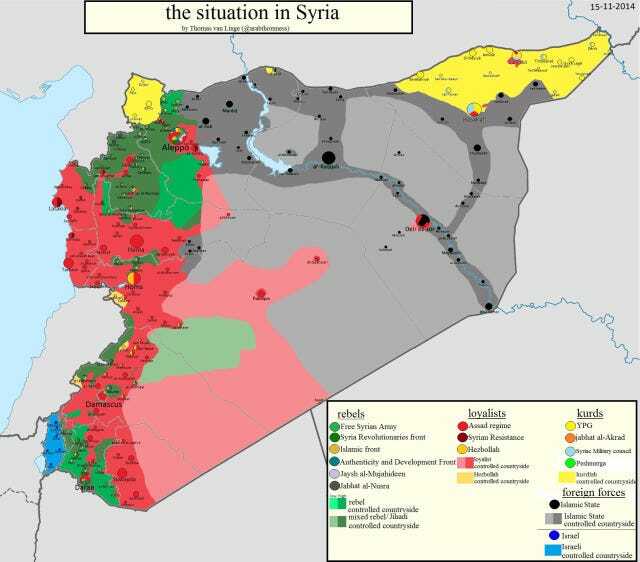 In August of 2013, the regime crossed Obama’s “red line” when sarin gas attacks in the suburbs of the capital killed an estimated 1,400 people in four hours. Assad’s government has also tortured and raped tens of thousands of people, as detailed by photographs smuggled out of the country by a former police photographer. The ambassador-at-large in the State Department’s office of global criminal justice subsequently said that not since Hitler’s Germany has there been a regime so eager to document its own atrocities.